-Do I want to tank? -Do I want to deal damage? -Do I want to support my team with healing? -Do I want to be able to solo easily? Well let me start by giving a brief description of each class. Warriors: Have the ability to tank well, as well as deal damage, depending on which route you go. Later class advancements have AoE attacks to deal serious damage to large mobs. Warriors can wield hammers, or 1H swords. Later class advancements give the option to wield Axes and 2H swords as well. If you want to destroy your enemies fast, or tank bosses for your team, Warrior is the route for you! Rogues: Have the ability to strike their opponents with great speed. They also have a healing skill to heal themselves, making their ability to solo pretty good. Rogues can equip daggers. Later class advancements they can wield bows or 1h swords, depending on which route you take. If you want to deal quick and lethal damage to your enemies as well as have the ability to heal yourself, Rogue is definitely the route for you. Magicians: Have the ability to deal a large amount of magic damage to their enemies. A Magician has the ability to wield a staff. 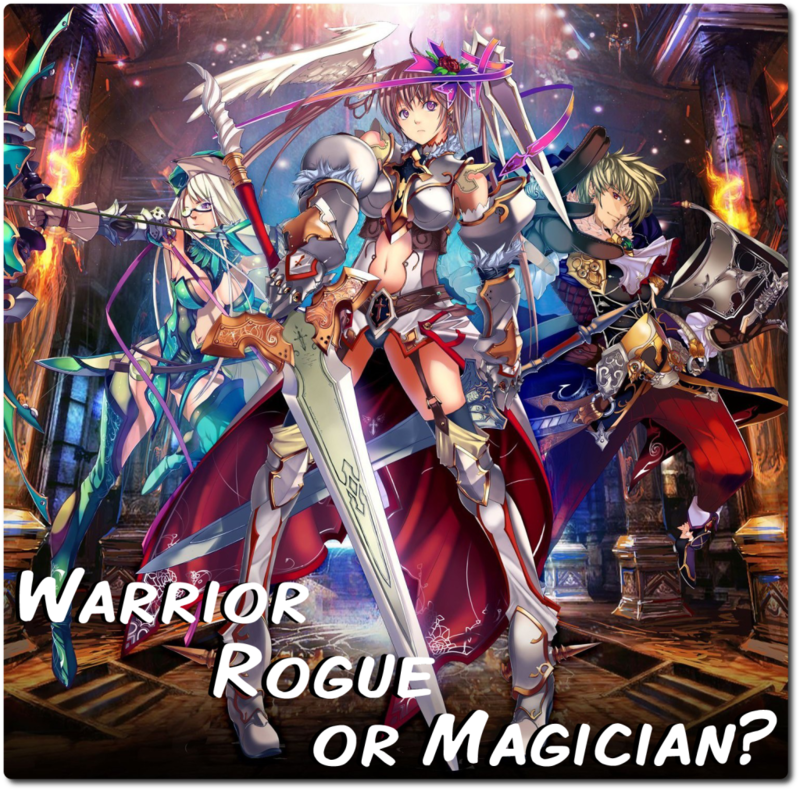 Later class advancements Magicians can become very powerful in terms of team support or even stronger damage dealing depending on what route you take as a Magician. Later, if you become a Priest, you have the ability to equip a mace or hammer as a weapon. If you want to support your team with healing and buffs, Magician is the route to go! Okay now that you’ve got the basic idea of each class, you can go on with your decision. It is probably one of the most important decision you will make in the game, because it essentially determines your fate of the character throughout the whole game. Of course, you can make more than one character, and you can make one of each class, but why not start out right away playing a class you like, rather than spending so much time experimenting before making your final choice. Note: Some lists are incomplete. So with that said, which class will you choose?